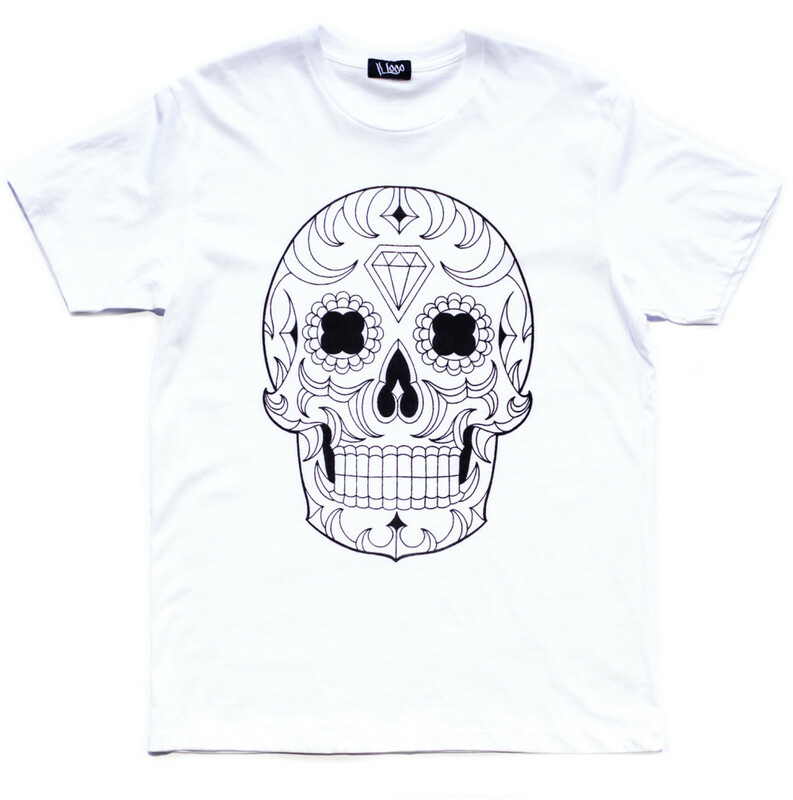 Day of the dead Skull Tee White. Designed and printed in Byron Bay, Australia. 100% cotton, light weight. Design inspired by Mexican day of the dead art. Model Coen is wearing a L.